Alyson Belcher is a fine art photographer based in Oregon and California. 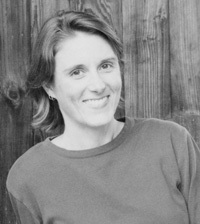 She received her BA from the University of California, Berkeley and her MFA from San Francisco State University. Alyson’s photographic work utilizes both 19th century and digital camera technologies. 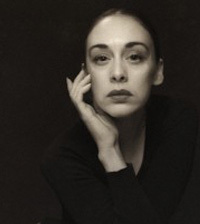 For most of her early career she focused on photographing the human form with a pinhole camera; this work included self-portraits and collaborations with dancers. More recently, she has photographed the wild, non-native landscapes found within the San Francisco city limits. 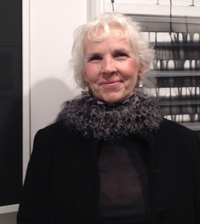 Her work has been exhibited and published nationally and internationally. Alyson is represented by the Robert Tat Gallery in San Francisco and Gallerie Citi in Burlingame, CA. Growing up in rural Maine, Charland spent much of his childhood helping his father remodel their family home. These experiences instilled an awareness of the potential for the creative use of materials, and the ability to fabricate his visions. Charland earned a BFA in photography with departmental honors from the Massachusetts College of Art and Design in 2004, an MFA from the School of the Art Institute of Chicago as a Trustees Fellow in 2010, and was a participant at the Skowhegan School of Painting and Sculpture in 2009. His work has been exhibited nationally and internationally and is in the Collections of the Philadelphia Museum of Art, The Progressive Collection, and the Smithsonian American Art Museum. 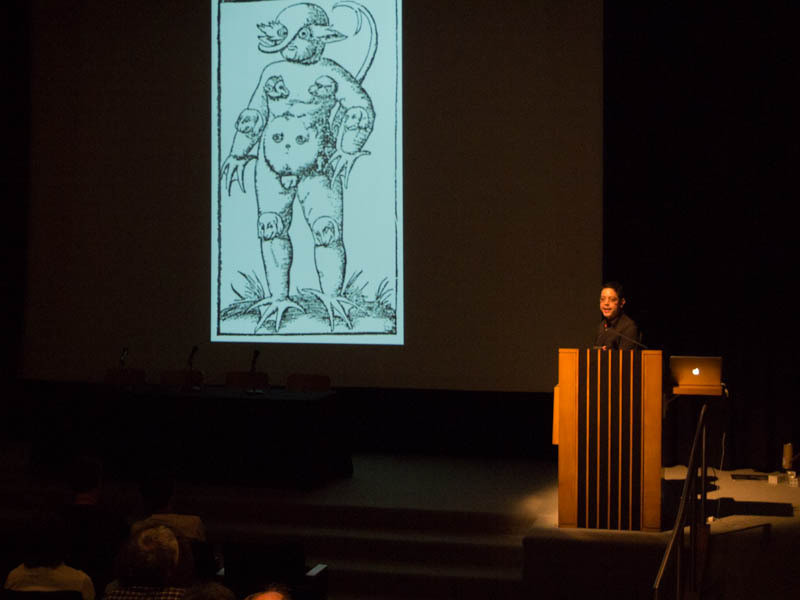 Charland currently lives in Maine and works at the Maine College of Art as an artist in residence. After spending an extended period of 1995 dedicated to making contact prints from his 2 1/4″ X 2 1/4″ and 4″ X 5″ negatives, Chiara decided too much information was lost in the darkroom enlargement process. Over the next 6 years Chiara developed his own equipment and processes to make 1st generation unique photographs (no film). John Chiara developed a process that is part photography part sculpture and part event – an undertaking in apparatus and patience.He creates one-of-a-kind photographs in a variety of hand-built cameras, the largest of which is a 50” x 80” field camera transported by the artist on a flatbed trailer. Once a location is selected, he situates and then physically enters the camera, maneuvering in near total darkness positive color photographic paper on the camera’s back wall. Throughout the exposure, his instinctual control limits the light entering the lens, using his hands to burn and dodge the image. These large-scale photographs are developed by hand in a spinning drum process that agitates the chemistry over the photographic paper that lines the interior of the drum – a process that often leaves behind traces on the resulting image. Chiara’s photographs are strongly perceptual, eliciting a visceral response, yet are rendered in soft hues that exude a strong sense of the viscosity of material and the ephemerality of presence. Read more about Chiara’s lecture Lands End. 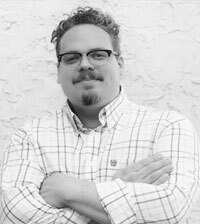 Elmaleh is a West Virginia based photographer and educator at the School of Visual Arts and the Center for Alternative Photography. She has been awarded the Aaron Siskind Foundation IPF Grant, PDN’s 30, the Ruth and Harold Chenven Foundation Grant, the Tierney Fellowship, and The Everglades National Park Artist Residency. Her work has been exhibited nationally and internationally, most recently featuring her American Folk work as a solo show at Foley Gallery, and a group show, The Mythology of Florida at the Ogden Museum. Elmaleh’s work has appeared in Harper’s Magazine, PDN, and Rangefinder, among others. David Jiménez was born in Spain in 1970, and currently lives and works in Madrid. He has created diverse personal works that have been displayed in several books, exhibitions and audiovisuals. He works with a large amount of images made over the years, and with them he builds photographic projects which have a combinatory nature. 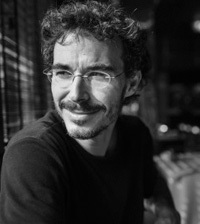 Noteworthy events in his professional career include winning the Best upcoming photographer Prize at PHotoEspaña 99, and the publication of four individual books, among them Infinito in 2000, that has been recognized as one of the most influential photobooks of the last decade in Spain, and the recently released versus in 2014. He has exhibited his work in Rotterdam, Arlès, Toulouse, Torino, Athens, Seoul, Bogotá and other cities, including several places in Spain. His images are present in the catalogue of numerous public and private collections. He regularly teaches photography through workshops and lectures. 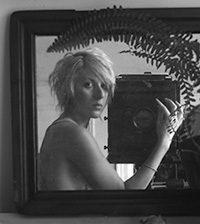 Niniane Kelley is a fine art photographer living and working in San Francisco and Lake County, California. A native of the Bay Area, she is a San Jose State University graduate, earning a BFA in Photography in 2008. Drawn to photography for both the immediacy of the image making process and the intrinsic alchemy of the darkroom ritual, she crafts her imagery using traditional 19th century processes which give each piece its own unique character. After generating an extensive portfolio working with the human form, she has emerged from the sequestered studio environment and is currently focused on the quiet beauty of the North State rural landscape. Embracing photography’s implied narrative structure, the current work functions as a form of autobiography, chronicling her frequent, unencumbered explorations of Northern California’s pastoral and largely unpopulated interior. In addition to producing photographic images, Kelley is also extensively involved in alternative processes education and research. Often teaching workshops in the Bay Area and surrounding environs, she most recently worked as a photographer and manager at San Francisco’s tintype portrait studio, Photobooth. 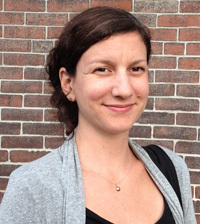 Amanda Means was raised in a small Upstate New York farming community. She moved to New York City over thirty-five years ago. Her artwork reflects a sense of nature in this crowded, urban environment. Initially, Means photographed tangles of underbrush in the countryside and printed the results in her lower Manhattan darkroom. The tangles represented the chaotic environment that surrounded her. Later on she photographed leaves and flowers without a camera. Now Means continues to explore the duality of natural and human built environments by photographing light bulbs and water glasses. She explores how the mysterious presence of natural forces can be found even in these small, mass-produced objects. Melissa Catanese is an artist and publisher living in Pittsburgh. Her artist book Dive Dark Dream Slow was shortlisted for the Paris Photo – Aperture Foundation First Photo Book Award in 2012. Catanese’s books can be found in library collections throughout the US and abroad, including the Museum of Modern Art Library and Tokyo Metropolitan Museum of Photography Library. In 2014, she was an artist-in-residence at Carnegie Museum of Art as part of the Hillman Photography Initiative. Her work was most recently included in Secondhand at Pier 24 Photography in San Francisco and The Photographer’s Playspace at Aperture Foundation in New York City. Catanese is the co-founder of Spaces Corners, a photography bookshop and project space and oversees North American distribution for the London-based publisher MACK. I host the ASMP evolution/revolution web series exploring the big picture ideas and concepts in photography, media and technology – and lecture internationally about Social media publishing, Copyright and the New Economy and Living a Creative Life. I also make pictures and motion pictures of creative and entrepreneurial people for publishers, companies & organizations. 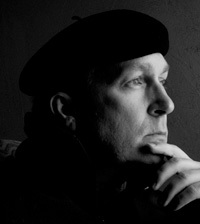 I teach portraiture and lighting at Pittsburgh Filmmakers a wonderful community of photographers and filmmakers. In a previous frame of my life I was ASMP President, the Director of Photography at WQED Multimedia, a photographer for Mister Rogers Neighborhood and a longtime contributor to PITTSBURGH magazine and PARENTING magazine. I have been honored with a UN International Photographic Council Leadership Award as well as a recipient 2009 Fellowship of the Pennsylvania Council on the Arts. I show my pictures in museums and galleries on walls in private homes and on Instagram and at TheVisualRaconteur. 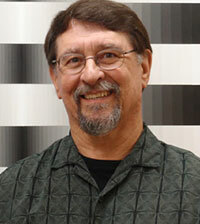 Stan Klimek is a master printer of alternative photographic printmaking processes. His clients include Sally Mann, Henri Cartier-Bresson estate, Bruce Davidson, Josephine Sacabo and more. His own fine art photography and his work with 21st Editions has been exhibited and collected internationally. 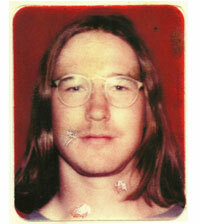 Brian Taylor was born in Tucson, Arizona. He received his B.A. Degree in Visual Arts from the University of California at San Diego, an M.A. from Stanford University, and his M.F.A. from the University of New Mexico. 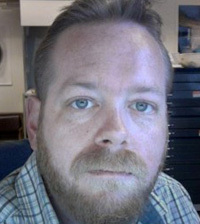 Brian is known for his innovative explorations of alternative photographic processes including historic 19th Century printing techniques, mixed media, and hand made books. He has been a recipient of grants from the National Endowment for the Arts and the Polaroid Corporation. 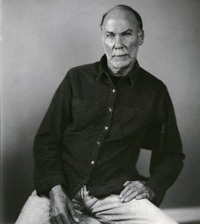 His work has been exhibited nationally and abroad in numerous solo and group shows and is included in the permanent collections of the Bibliotheque Nationale, Paris; the Victoria and Albert Museum, London; the San Francisco Museum of Modern Art; the Los Angeles County Museum of Art; and the International Museum of Photography at the George Eastman House, Rochester, NY. His work has been published in American Photographer, Photo Asia, Exploring Color Photography, Artworks, and Photographic Possibilities. Brian has taught photography workshops at institutions including the Friends of Photography, the University of California at Santa Cruz and Berkeley, Stanford University, Photo Alliance, Carnegie Mellon, and Penland. 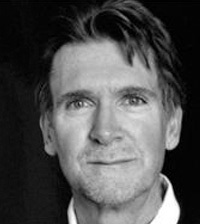 Brian is currently a Professor of Art in the photography program at San Jose State University and Artistic Director for the Center for Photographic Art. Since 1978, David’s career has spanned a long, and very diverse journey. Beginning in the genres of fashion, and music, for the first three years, David quickly established himself as a rising professional. Discontent, he followed his passion for telling stories, and immersed himself into the coveted territories of photojournalism. Over a span of several years, David had photographed a virtual who’s who of world leaders – and the events shaped by them, including three U.S. Presidents, and several Presidential races. David’s camera also bore witness to the Solidarity Movement in Poland, and the Peace Conferences between The Zapatista Revolutionary Group and the Mexican Government. David’s career diversified even further with clients such as BBC Television, Paramount Pictures, The Broadway Series, and Pittsburgh Ballet Theatre. In 1995 David transitioned, once again, focusing his passion for telling stories even deeper – a refinement that continues to this day. His inaugural project, that seemed to signify this refinement, was “A Mountain Dignity”: a, highly acclaimed, in-depth photographic documentary into, what David still considers, the true culture of the Appalachian people. This was also David’s first solo book project. Since then David has received two museum commissions, and, in 2012, was awarded by the Huntsville Museum of Art’s, Red Clay Survey, one of the most influential artists of Southern Contemporary Art. 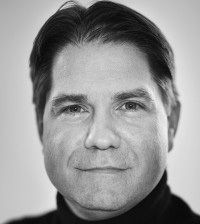 David was a founding member of SouthLight; a salon of eight established photographers, from the U.S., and Europe, now residing in Nashville, Tennessee. David continues, fervently, to promote the knowledge and exploration of photography – both as a means of communication, as well as an expression of fine art. 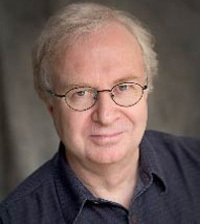 Ed has lectured in over 150 art schools and art organization in North America and Europe on materials and techniques. He also conducts workshops on color mixing,pen & ink drawing techniques, paper evaluation, painting, drawing, composition and mix media. He has published articles in The Artist Magazine, Watercolor Magic, Art Materials Today, Island Arts Magazine and was contributing editor for Palette Talk. More than a dozen art books acknowledge Ed for his contributions. Ed’s formal art education was received at Moravian College in Bethlehem, PA, the Baum School of Art in Allentown, PA and twenty five years of workshops and conversations with various artists. Currently, he is working on a drawing and painting materials and techniques book to be published by orthe Light (F+W Media). “Making Art: Materials and Techniques for Today’s Artists” is due out in 2013. Evan is a professional photographer and custom printer in Seattle. He has specialized in architecture and interiors for the past 11 years, and works with fellow photographers to help them create the best prints possible. Though he began in the darkroom, he has come to prefer the possibilities and relative simplicity of inkjet printing. His goal is to demystify the printing process, and make it part of the creative process. 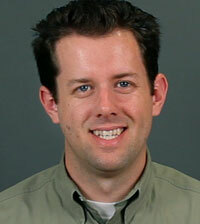 Matt is a fine art photographer, educator and marketing professional. He specializes in creative juxtapositions and mashups. This includes his latest personal project, NIGHT PAPER, a surreal combination of cut paper fashion and long-exposure portraiture. His days are spent as Marketing Director for Gradus Group, a diverse and dedicated company manufacturing over 24 brands of photo, filmmaking, audio gear and more – including f295 sponsor brands Impact, Vello, Oben and Bolt. His passions and goals are the same: to create and stimulate. 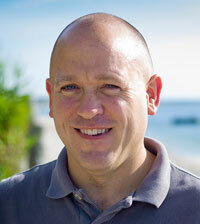 Rick Berk is the Training Manager for Lytro, and has over 20 years experience in photography and imaging. Rick began his career covering professional sports, and eventually moved to adding portraits and weddings to his repertoire as well. Rick joined Lytro in 2014 and runs training and events all over the United States to bring light field technology to new users.